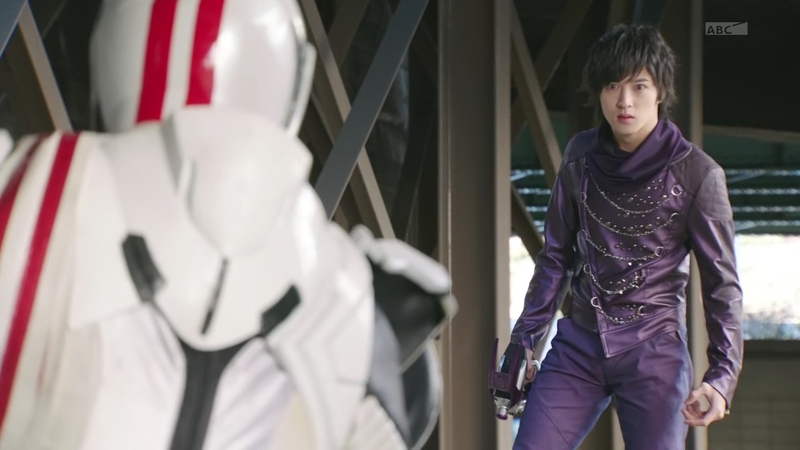 Recap: Kamen Rider Drive, Episode 22 – How Do I Fight With an F1 Body? Kiriko helps a banged up Shinnosuke back to the Pit where Rinna is giving each of the Shift Cars a thorough cleaning to remove Medic’s yucky breath off of them. Until Rinna is finished, they won’t be able to use any of them. But it’s okay, Belt-san says, since it’s thanks to Shinnosuke that they were all saved. Flashback to the moment Shinnosuke uphenshins to Type Formula. Chase is shocked to see this new power that is able to withstand his own new power. 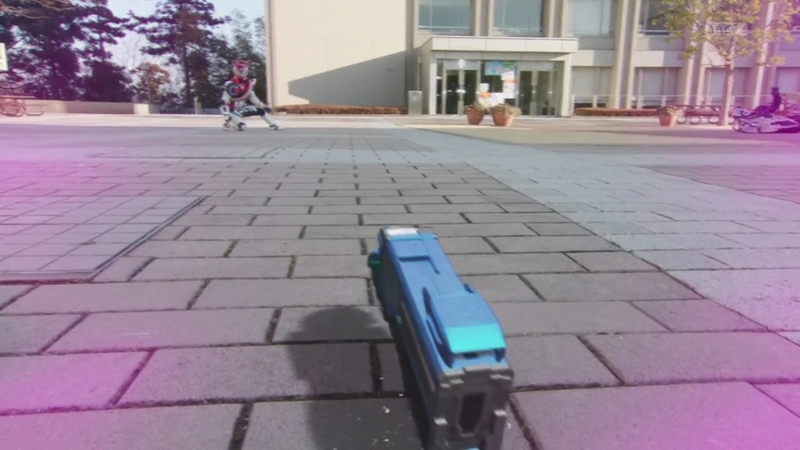 Kiriko and the Shift Cars are safely contained in an orb as Shinnosuke initiates a Full Throttle finisher. 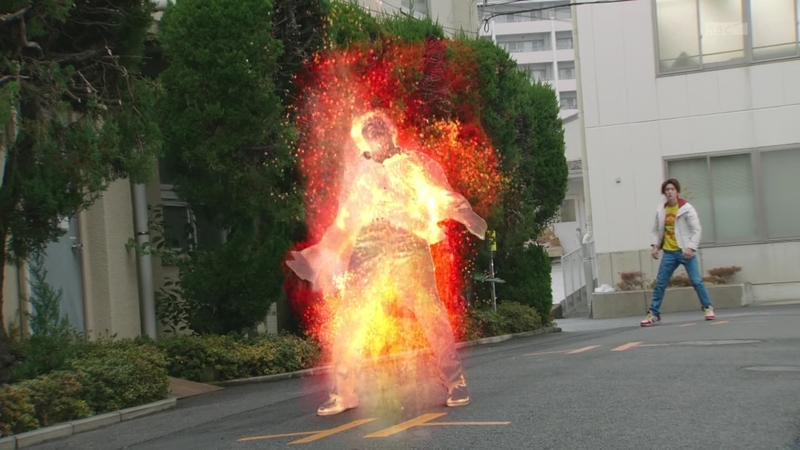 Formula’s finisher put a very heavy burden on Shinnosuke, but it’s fine. As long as everyone is okay. Shinnosuke thanks Gou too for allowing Dead Heat to help as well. 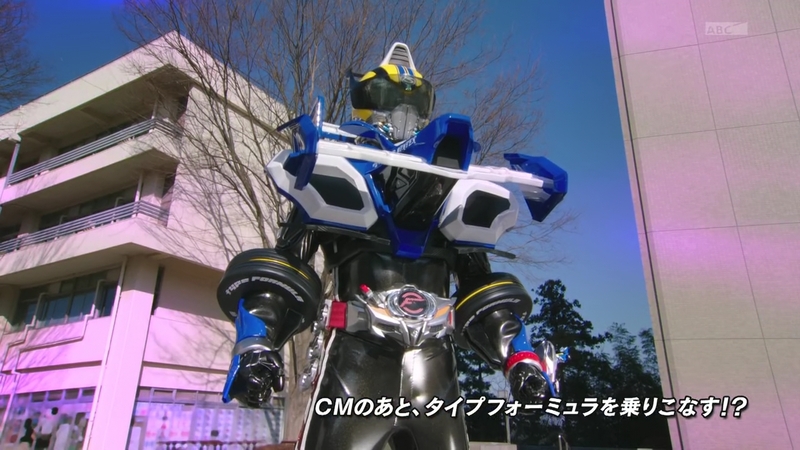 Gou pats Shinnosuke on the back and says the race to defeat Chase first is not over yet. He leaves. Kiriko follows. Belt-san says they need a finisher that won’t be too strenuous on Shinnosuke’s body. Rinna says she has a new weapon that’s almost complete, but she just can’t get the last little bit done. She remembers the present from Professor Harley and thinks maybe there’s a clue in it. She opens the box, but it’s just a box of the Professor’s homemade Harley Pies. 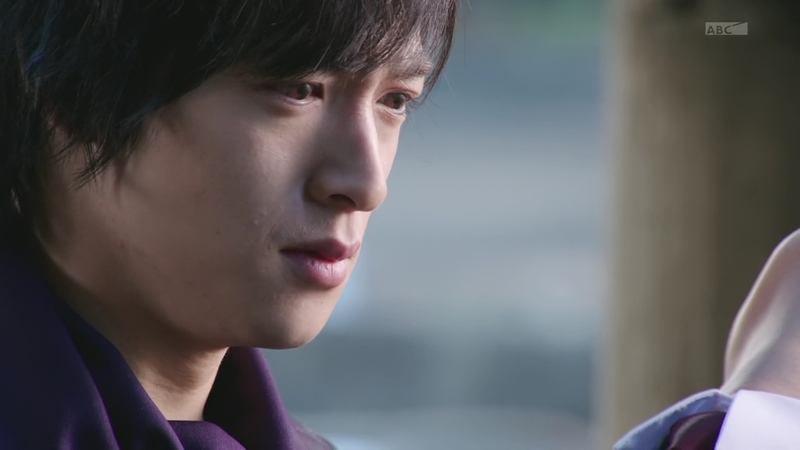 Kiriko tells Gou not to make everyone worry. He tells his neechan not to make him worry. Suddenly, a group of men enter the SID. Chief Jun tells them this is not the license department and they should leave. But he sees Kyu starting to tremble. Chief Jun looks at the men then at their board. It’s the day of the living dead! The men attack. 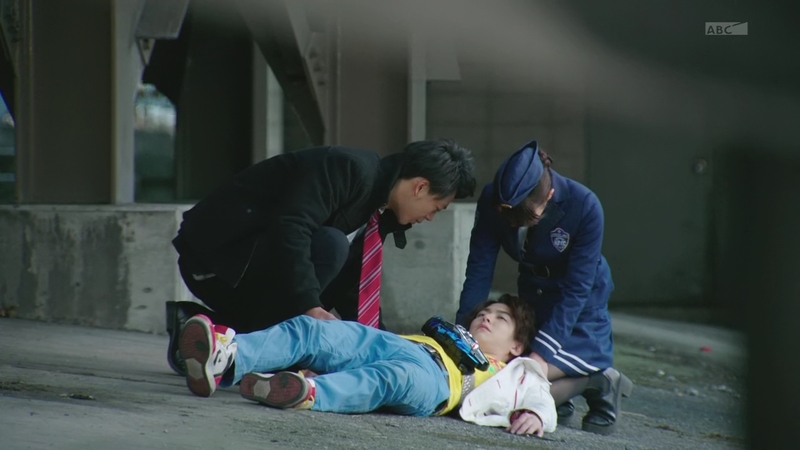 Gou and Kiriko try to fight them off, but they manage to knock Kiriko out and carry her out. Chief Jun hurls whatever he can get a hold of from the desk at one of the men. And when he throws Shift Wild at it, it disintegrates. 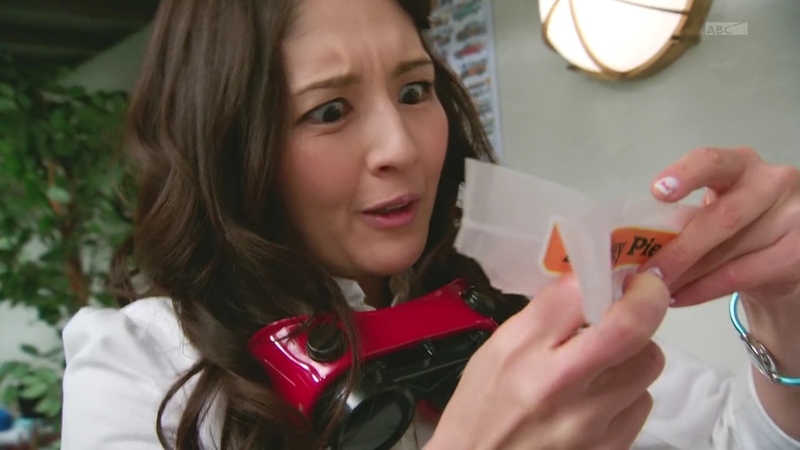 Chief Jun is amazed at Shinnosuke’s minicar. 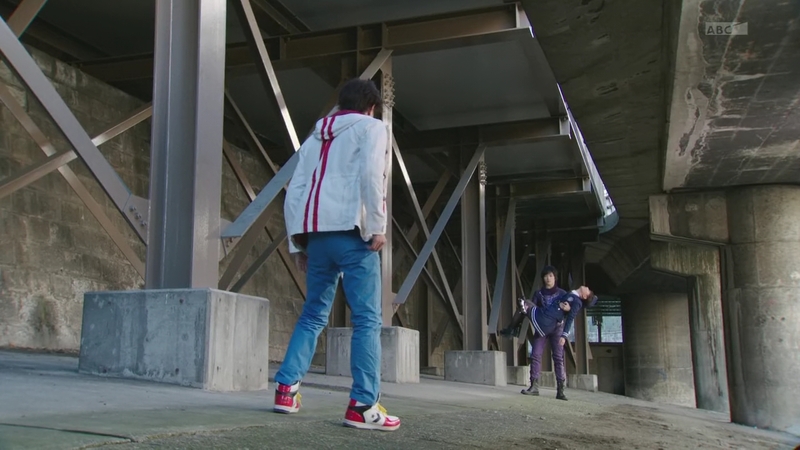 Gou sees what he needs to do and follows the other man out and throws one of the Signal Bikes at him. Having sensed the trouble, Belt-san sends Shinnosuke back upstairs. He checks on Chief Jun then looks at the pile of ashes. Belt-san, talking through Shift Wild, says Medic must have created copies of the long-dead bodies. Kyu tells Shinnosuke that the men have taken Kiriko and he hurries out. Down in the Pit, Rinna is frustrated she still hasn’t been able to find a way to link all the Shift Cars’ energy together. She decides to eat a Harley Pie. Meanwhile, the corpses deliver a very unconscious Kiriko to a waiting Chase. He shoots them after taking Kiriko into his arms. But Gou quickly arrives as well. Suddenly, Chase gets flashes. Protect Roidmude lives or human lives? Chase gently sets Kiriko down on the ground before backing away. 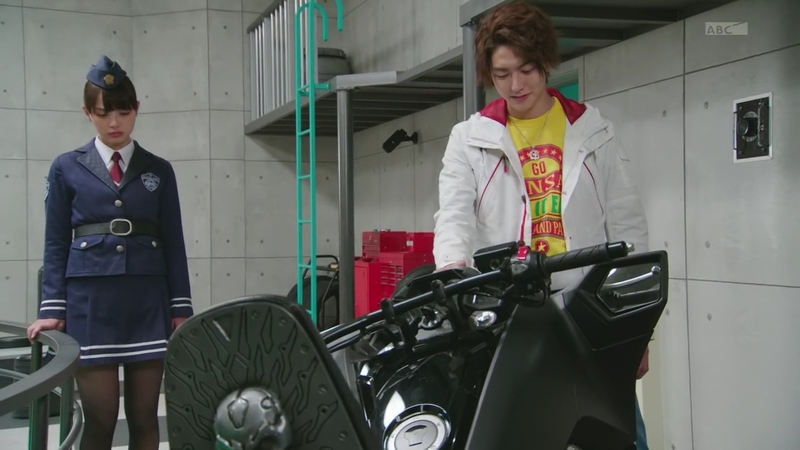 Gou runs over to his sister. Chase tells Gou to inform Drive that they will have a fair fight at midday. Evolved form Medic flowers herself in, flanked by her Reapers. She’s made Chase unconscious and wonders why her programming of Chase has failed. 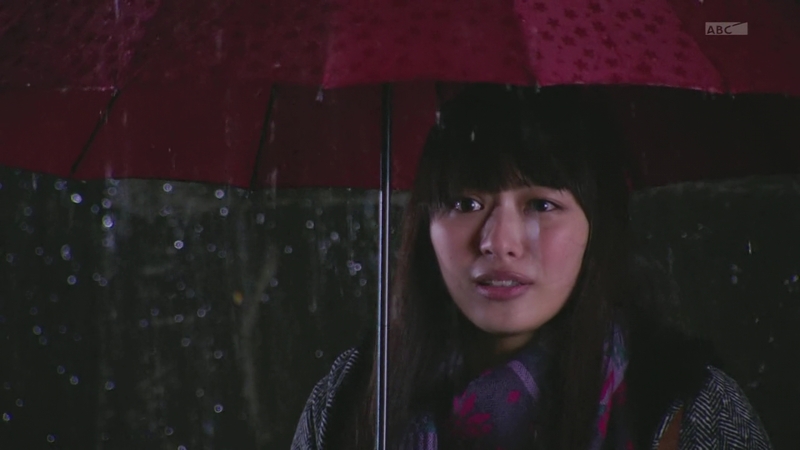 Kiriko wakes up and Gou sets her down before going Dead Heat to take care of the two Reapers. Medic has whisked Chase away. Gou dehenshins, but collapses. 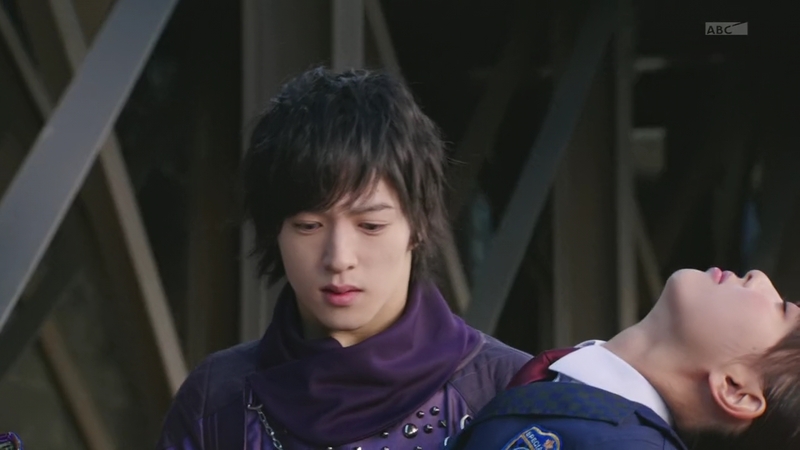 He comes to with Shinnosuke and Kiriko looking over him. Shinnosuke apologizes for being late. Meanwhile, the atmosphere has shifted drastically from the last time Chase and Brain were in the candlelit room. This time, Chase pins Brain down on the couch. He points his gun to Brain’s face. This is under Medic’s orders who is sitting at the table. She knows it was Brain who weakened Chase’s programming. But she’s now done some emergency repairs and injected him with a serum that raises his destructive impulses to a new high for a short period. “If I so order it, he will mercilessly kill whomever I wish,” Medic says with a huge smile. Brain begs for his life. Medic prefers this submissive Brain. She calls Chase off and tells him to focus on the first target she told him about. “Kamen Rider Drive.” Chase leaves. Brain looks for his handkerchief, but it’s gone. Medic has it. And she cruelly lights it on fire and throws it into the fireplace. Shinnosuke and Kiriko drive downtown where Chase is rampaging. Kiriko again tries to talk to Chase, remembering how he saved her life. She begs him to stop. Chase shoots at them. Shinnosuke grabs Kiriko out of the way. “It is such a shame…” Belt-san says. Kiriko returns just as Chase has initiated his force field again to freeze Shinnosuke. Dead Heat arrives to help Shinnosuke move, but Chase still has the upper hand. Back at the Pit, a still frustrated Rinna has eaten all of the Harley Pies. But she notices different formulas inside the wrappers. That’s it!!! Shinnosuke is still being overpowered and Belt-san warns that the Dead Heat tire is going to burst. But Shinnosuke says they have no choice other than to use Formula. Belt-san says Shinnosuke can’t handle another Full Throttle. Chase prepares a Triple Tune and aims at Shinnosuke. But he is suddenly shot at. They all turn to look. Something is arriving. A huge trailer? Belt-san says this is the new weapon. Formula emerges from the big-rig. Shinnosuke asks if they’ll be able to finish this fight with the new trailer. Belt-san says they must trust that it will. 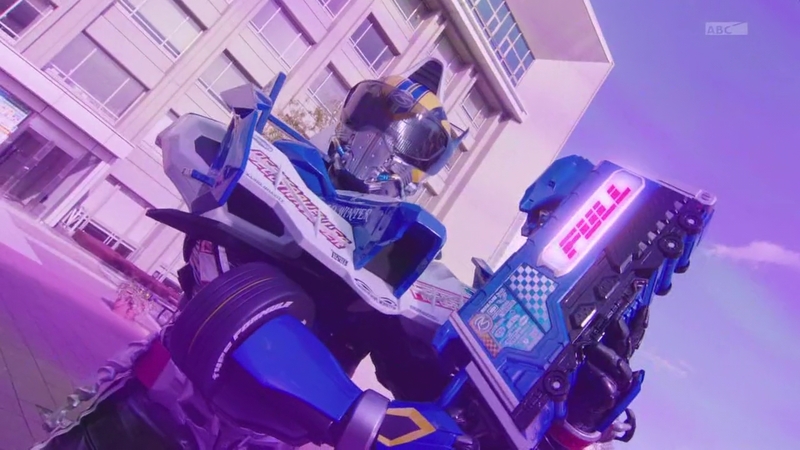 Shinnosuke inserts the Shift Car and uphenshins to Type Formula. Chase charges, but Shinnosuke is much too fast and absolutely knocks Chase around. The trailer slowly drives up. Belt-san tells Shinnosuke to slide the trailer’s cab. Shinnosuke calls it the Trailer Cannon. Belt-san tells him to insert Shift Formula to make it Formula Cannon. Shinnosuke shoots and Chase gets thrown. Belt-san says loading Shift Speed and Wild will initiate the finisher. Shinnosuke complies and prepares a Full Throttle Full Full Formula Cannon Finisher which completely overpowers Chase’s Triple Tune. Chase gets hurled into the sky and explodes, Viral Core included. Kiriko is deep in thought. At the SID, Rinna is helping Chief Jun clean up the ashes while Kyu tries to ward off the evil spirits. Shinnosuke has the Trailer and Formula with him at the table. 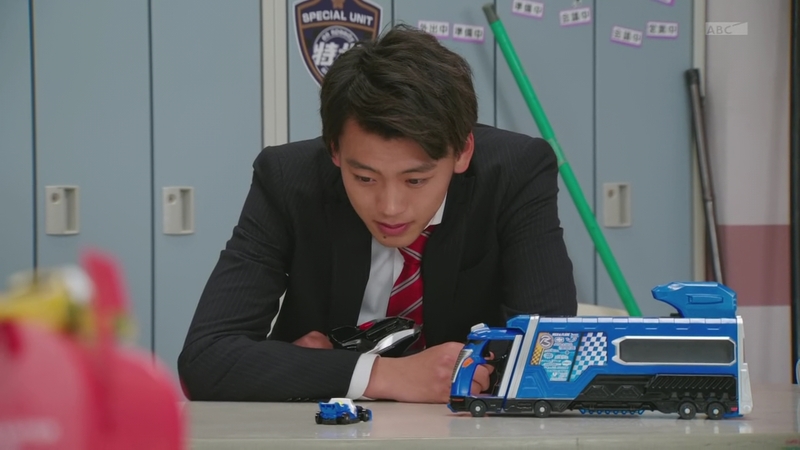 Chief Jun says Shinnosuke’s minicars are their guardian angels. It’s a wet, rainy night in the city. 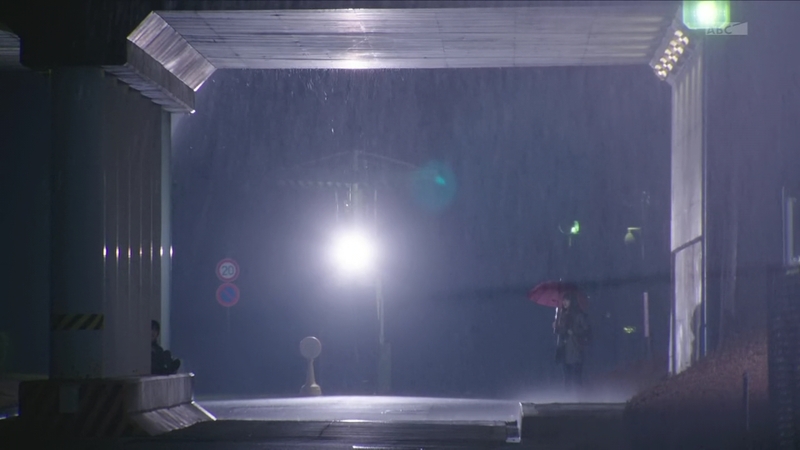 Kiriko is walking home alone when suddenly, she sees a man who looks to be struggling on the ground. Interesting episode! I do like how the “decisive battle” between Shinnosuke and Chase and the introduction of new toy!! Formula worked well together. More fun toys though is perfectly fine with me. And I do enjoy how they’ve really milked the car theme this season for all its worth. As for Chase, I am also really hoping this really does signify a new chapter in his story. They couldn’t possibly reprogram him again can they? It’s either he finally turns “good” or he gets killed off. I think they’ve been able to drag his story out well enough for 22 episodes, but this has to be the real turning point, yes? I still feel like they’re shortchanging Gou though. We don’t really know if he actually has a deep motivation for being so adamant about getting rid of the Roidmude (maybe they’ve affected him physically back in the States or their parents died because of Roidmude or he is just very protective of his sister) or if he’s just an overzealous guy. I really hope it’s the former since he’s probably my favorite character this season and there’s so much potential for great story there if they can do it well. 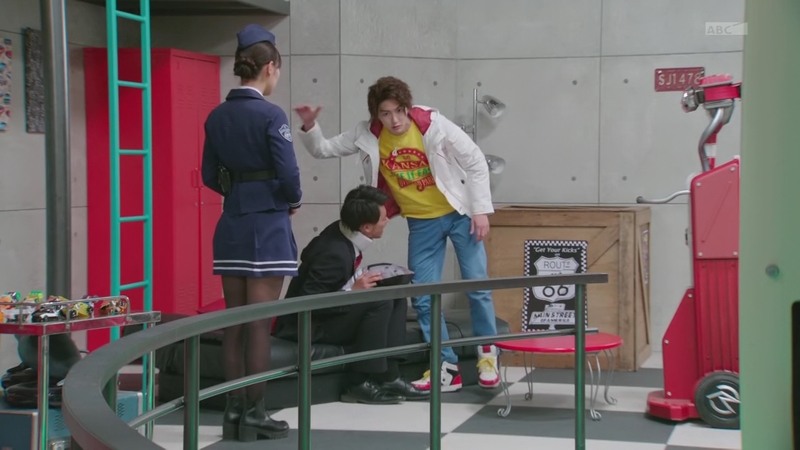 ← Recap: Shuriken Sentai Ninninger, Episode 4 – There He is! Paonmaru! That whole scene of Brain’s breakdown over that hankie was priceless. I guess he will inevitably stumble upon some secret about Medic (such as that possibility of her being part human) that he will use for revenge against her. Chase turning good is pretty much a done deal, what with the third rider being named as kamen Rider Chase/Chaser (as revealed in the toy scans). VBut what really intrigues me here is that line of Gou about Chase being only the 109th. 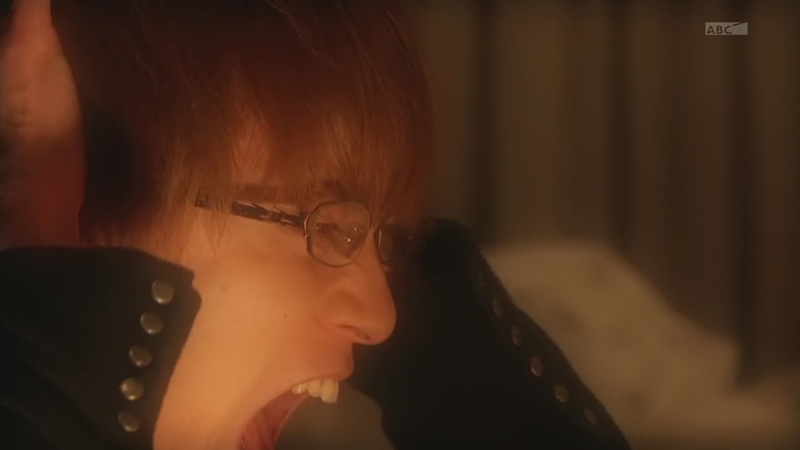 from what I recall, the Roimudes are supposed to be only 108. So, maybe that implies that there are still more, higher ones (kinda like Gaim’s Overlords). I still feel like they’re shortchanging Gou though. I actually feel this more toward Shinosuke himself. 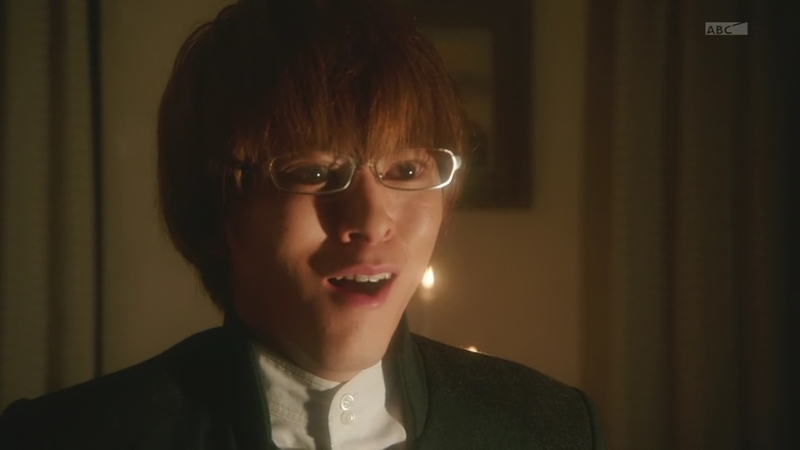 After that arc with Roimude 072, I was expecting him to be at least a bit more questioning about the whole battle with the Roimudes, but he is pretty much back to the standard routine of solving cases. 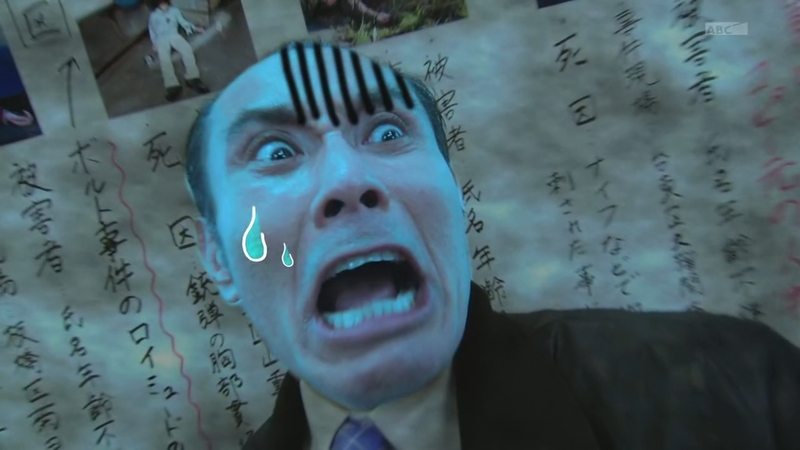 I was also hoping that they would introduce more sympathetic roimudes after 072, but alas, none. I guess they are reserving those for the part where the Promised Numbers become more significant in the plot.